William Barr, President Donald Trump’s nominee for attorney general, on Tuesday said that he can “conceive of situations where” President Trump’s Justice Department could arrest journalists if they “hurt the country” with their reporting. Disturbing answer by Barr on jailing reporters. Says he can conceive of circumstances where "as a last resort" & where a news organization "knows they are putting stuff out where they’re hurting the country," which puts the legal onus on publishers. Barr also faced questions about how he would oversee Special Counsel Robert Mueller’s investigation. 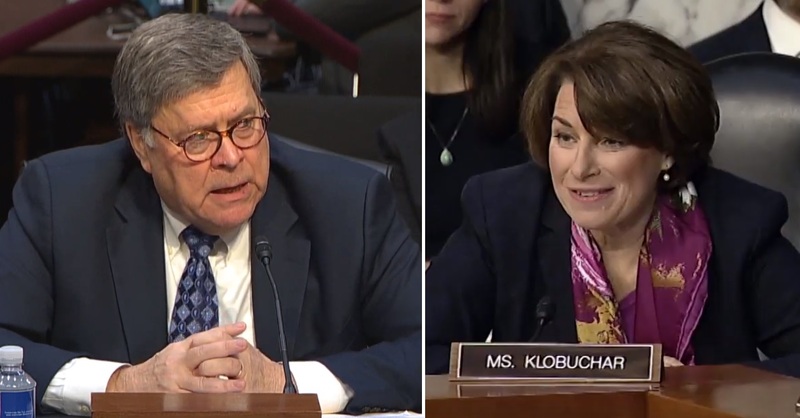 Barr told senators he would not be “bullied” into interfering with the Mueller investigation. Barr also pledged to release Mueller’s findings to the public under the proper regulations.